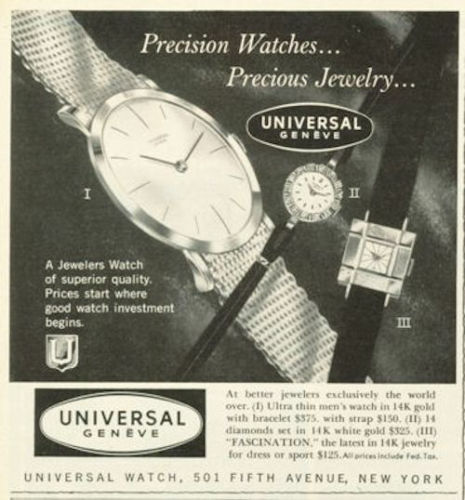 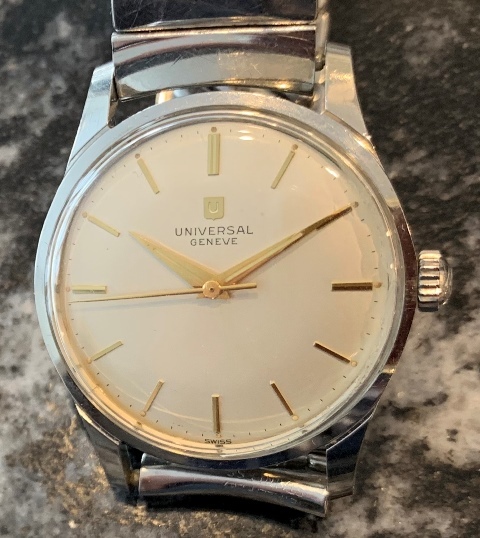 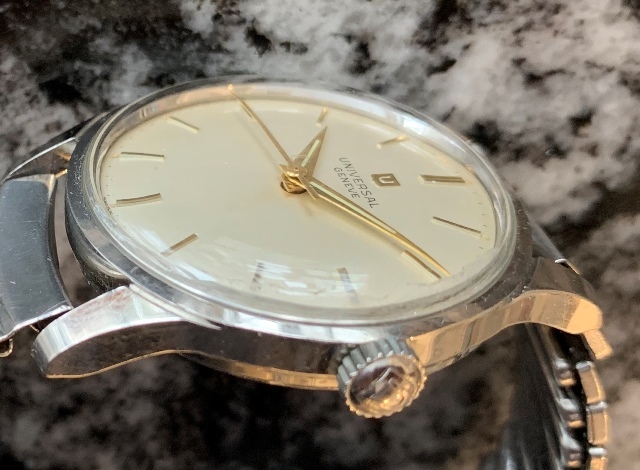 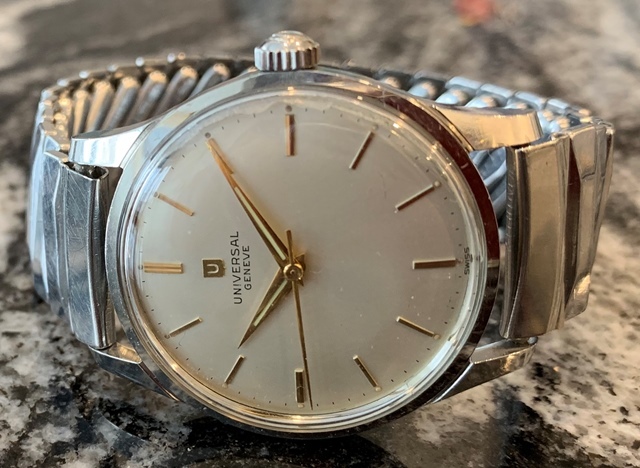 Slim profile Universal Geneve manual wind stainless steel watch, dated by serial number to 1959, with original dial and winding crown with logo. 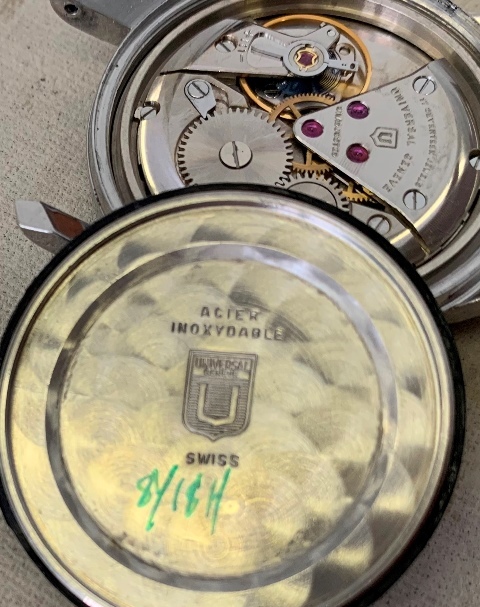 Watch is in great working condition and ready to wear. 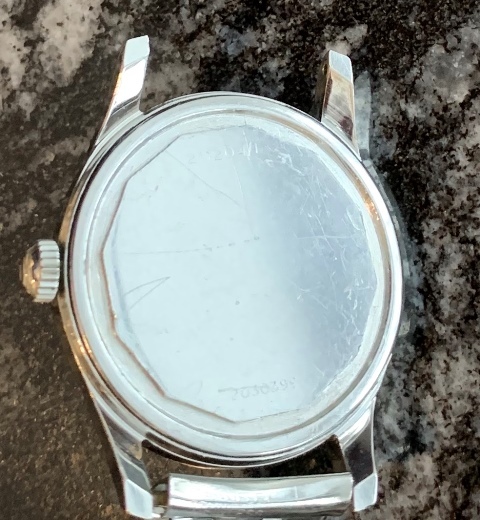 The case measures 33 mm x 41 mm and is only 8.2 mm thick. 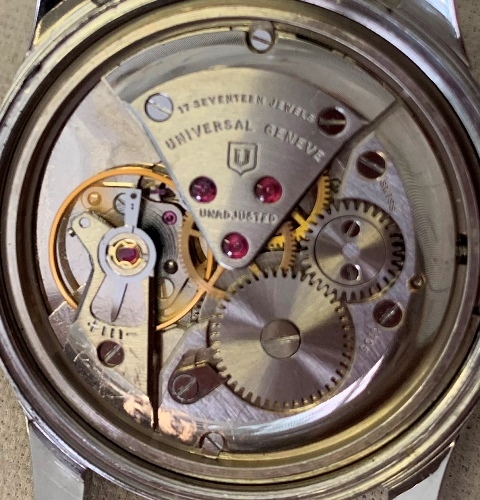 Watch is fitted as found with a well matched expansion bracelet.